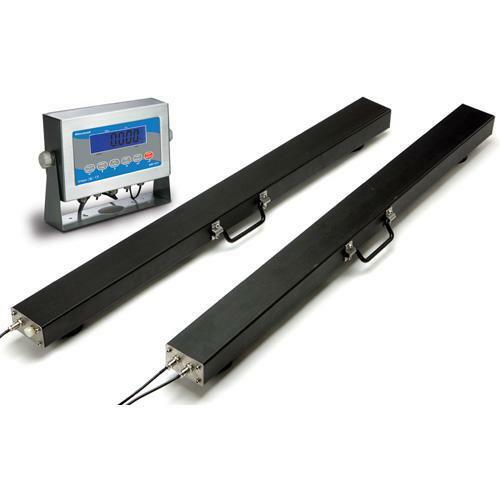 Two Weigh BeamsBeams– The system includes two Weigh Beams with built-in carry handles. Each Weigh Beam has 4.65 m /13 of load cell cable with quick connectors. Common Applications - Fully portable scale system is ideal for weighing pallets, long loads and installations under conveyors, tanks and hoppers. Also suitable for long lengths of pipe or other diffi cult to handle materials.